Hello to all of the veterans and first time readers of Mastication Monologues. If you have never seen this blog before, I write about all of my different food experiences in the Chicagoland area and during my travels in order to broaden your culinary and cultural horizons. Plus, I would like to think that I could break certain cuisine stereotypes that exist with different types of ethnic foods. 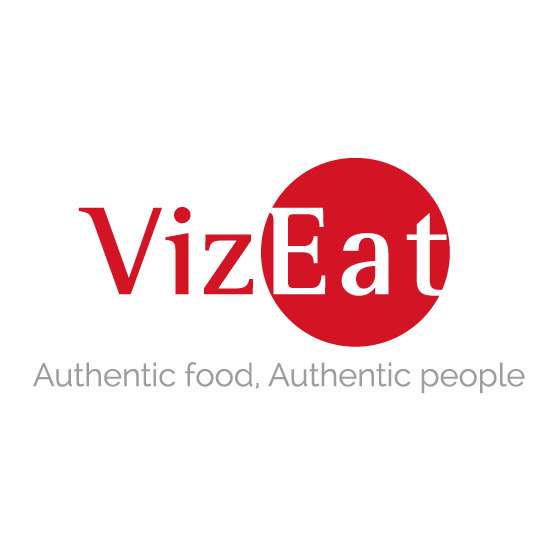 One of the most persistent ones is with Indian and Southeast Asian food. Often times I have heard from many people that it is too smelly or spicy or simple or causes bad things to happen to your G.I. tract, and I am here to tell you that it is not the case at all. 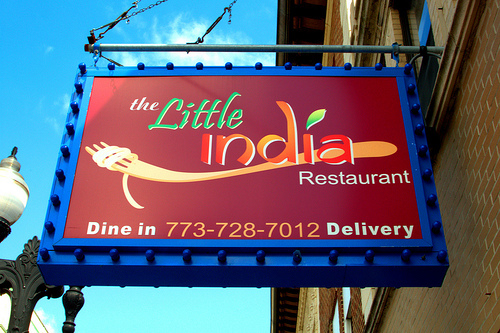 I recently went to a small Indian restaurant called the Little India located on 1109 West Bryn Mawr Avenue Chicago, IL 60660, and it is a great establishment in terms of hospitality and food. At first, I was not sure what they meant when they claimed to serve “Indian fusion” cuisine, but upon closer inspection of their menu, I could see that there were some American elements like french fries and chicken soup and even a Chinese entry with Paneer Manchurian. However, I went with a traditional Pakistani dish called Chicken Shajahani Biryani which was described as, “Chicken marinated in a yogurt sauce, herbs, spices, and served with steamed Basmati rice”, and I could only imagine it got its name from the influential Shah Jahan. One of the reasons why I chose this dish was that I love the intermingling of tastes when mixing rice and meat together, and from a more economical standpoint, only the choices under the “Rice Dishes” on the menu automatically came with rice. 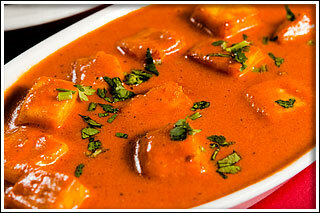 Just a heads up because my fellow diner did not have the same luck and had to order rice with her Paneer Makhani. When they brought out our food, I was somewhat underwhelmed by the presentation of the Biryani since it looked like ordinary rice with a couple chunks of chicken put on the surface, but oh how wrong I was. 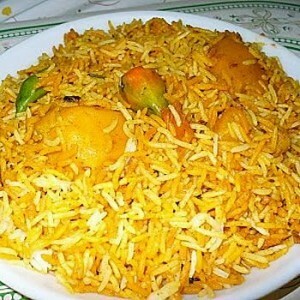 Chicken Biryani: Geopolitical alliances be damned for deliciousness! It was also served with a small gravy boat of yogurt sauce filled with diced cucumbers and carrots. Once I tucked into the mini-mountain of rice, I realized that I made a great choice because the rice was cooked to perfection and huge, golden nuggets of chicken were lurking under the surface. There was also a slightly spicy hint to each bite which I expected to come with a dish like this, and the yogurt sauce provided a cool contrast to the spicy rice and chicken. It was white, creamy, and almost seemed like a Pakistani version of the Greek tzatziki sauce that can be found on any classic gyro. Upon seeing me intake heaping spoonfuls of the dish, the staff asked me if the spice level was alright. Naturally, I responded with it wasn’t spicy enough, so they actually took it back to the kitchen to make it even spicier for no extra charge. When they came back, I could see they added more red peppers to the rice, but it gave it only about a Habanero level of spiciness. The waiter and doorman both joked with me that the cook couldn’t believe someone wanted their food spicier and that they knew what it was like to have a penchant for amping up dishes with more spice. These chats gave the restaurant more personality than others I have been to in my life where they just want your money and don’t care much for small talk. I ended up finishing the entire plate which was pretty substantial for the price, and I even tried some of the Paneer Makhani. It was an odd dish with cubes of homemade cheese in a tomato and cream sauce, but the clash of the somewhat old Swiss cheese aftertaste with the smooth, spiced tomato sauce really didn’t jive well with my palate. I think I would enjoy both elements on their own instead of combined in one bowl and eaten together with rice. To sum up, if you want to go beyond your culinary comfort zone, wander over to The Little India to try some delicious food that will convince you that Southeast Asian food is one of the most underrated cuisines in the world. Posted in Indian, Southeast/Southern Asia Cuisine and tagged authentic, Basmati, cheese, Chicago, chicken, dining, Food, Illinois, India, Pakistan, Pakistani, restaurant, Reviews, rice, sauce, spicy. Bookmark the permalink.